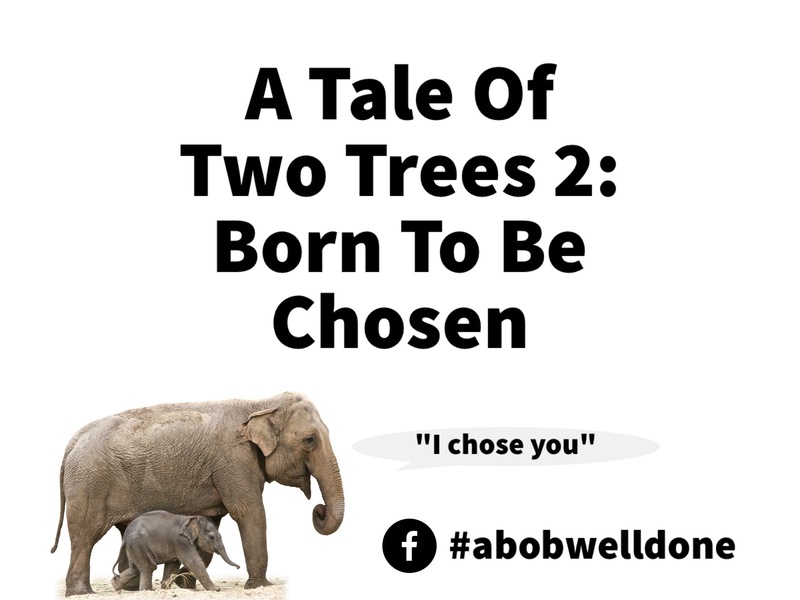 A Tale Of Two Trees 2: Born to be Chosen – Stew Rd. Yes. .. .. .. I did shower today in case the last blog left you hoping my hygiene improved. On another side note for the day, Luke and I may have seen Hillary Clinton (click for pic) speeding by us in a Lincoln on the way to school. ..probably not, but it made the drive to school really exciting. If you read the first Tree blog, there is much to consider about this whole ‘two trees’ thing but it really won’t make much sense until we go back to the beginning. Now, the beginning begs a lot of questions and for good reason. The primary reason for so many questions, in my opinion, is because our perspective is limited. There has always been plenty of debate on the origin of mankind and the book of Genesis. I have no interest in debating ‘literal, non-literal, etc’ and won’t spend much time in a conversation to that end because everyone puts faith in something when it comes to the origin of man. My faith is in intelligent design and some have faith in another possibility. That’s not my point today. My interest at this point is ‘why’? Eventually we get to two trees in the center of paradise (Gen. 2) that raise more than a few questions, but how did we get to that point and why? Was it all just an explosion in the universe? Are we just random particles of matter that, despite near-impossible mathematical odds, came together to form a highly intellectual and emotionally capable beings? What if we could be part of a bigger story? What if wonder, sacrifice, heart ache, battles won and lost and something better than you we could imagine are all part of the plan for human kind? Is it too much to consider or dream of? What if there is a reason men almost universally love stories like Braveheart and Gladiator? What if there is a reason most women love the movie Ever After and romance? What if epic fictional stories weren’t just an unattainable ideal? And what if the most popular fiction stories ever told can’t fully capture the wonder of what is real? Next time we will talk about two trees in the middle of paradise but we have to understand why we were placed there to begin with. Long before there were two trees, mankind, ancient civilizations, international borders, wars, economies, historical highlights, the technological age, terrorism, blogs and smartphones there was a hope for something greater. Not only was there a Father who wanted a family but there was a Son who wanted a bride. A Tale of Two Trees is actually not about you and me. I mean… it is but it didn’t start with us. Ephesians 1 said you were chosen long before you were born. You were born to be chosen. Thanks for reading. Stay tuned. Next time we will talk about “the gun in the playroom”. Pingback: Thank God for the Law! – Stew Rd. Pingback: A Tale Of Two Trees 3: Gun in the Playroom – Stew Rd.